Offer valid until Tuesday 17th April 2018 at midnight. Offer valid until Mon 26th February 2018 at midnight. WE ARE DELIGHTED TO ANNOUNCE OUR FREE PILLOWS & BEDDING WITH EVERY MATTRESS OFFER. SO TREAT YOURSELF TO A MATTRESS AND RECEIVE THE BEDDING TO MATCH. 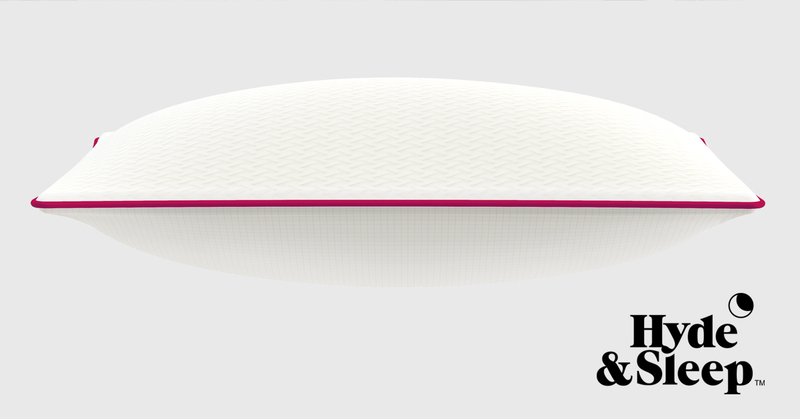 OUR CUSTOMERS WILL RECEIVE UP TO £308 WORTH OF EXTRAS WHEN THEY ORDER A HYDE & SLEEP MATTRESS. Offer valid until Monday 19th february 2018 at midnight. Offer valid until Monday 5th february 2018 at midnight. Simba Sleep - CPA increase for all publishers! audience now to make the most of this offer. If you require any assets to promote the brand, please get in touch and we will do our best to provide what you need. Furthermore, keep your eyes peeled for Simba's amazing Valentine's Day offer, to be announced next week! RECEIVE 10% OFF WHEN YOU SPEND £400 OR MORE, 20% OFF WHEN YOU SPEND £500 OR MORE AND 30% OFF WHEN YOU SPEND £600 OR MORE. AS WELL AS OUR MULTI AWARD WINNING MATTRESSES WE ALSO SELL BEDDING SO ALL YOUR NEEDS ARE COVERED. FEEL FREE TO PURCHASE SOME OUR LUXURIOUS PILLOWS, DUVET SET, DUVET, FITTED SHEET AND MATTRESS PROTECTOR. OFFER VALID UNTIL TUESDAY 30TH JANUARY AT MIDNIGHT. 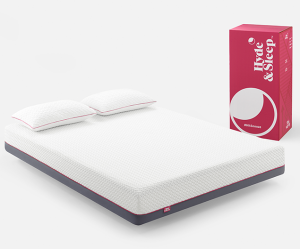 HYDE & SLEEP WAS STARTED WITH AN AIM TO IMPROVE THE WAY PEOPLE SLEEP. OUR PRODUCTS ARE AFFORDABLE AND LUXURY. WE EVEN ALLOW OUR CUSTOMERS TO TEST OUT THE MATTRESS IN THE COMFORT OF THEIR OWN HOME WITH OUR 100 NIGHT TEST. THIS IS A FANTASTIC OFFER FOR CUSTOMER TO PURCHASE MATTRESSES AND BEDDING AND KIT THEIR ROOM OUT WITH ALL THINGS HYDE & SLEEP. OFFER VALID UNTIL TUESDAY 16TH JANUARY AT MIDNIGHT. 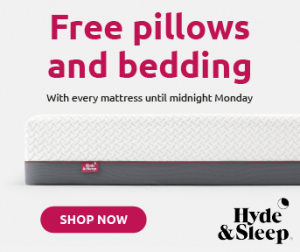 WE ARE DELIGHTED TO ANNOUNCE OUR FREE BEDDING WITH EVERY MATTRESS OFFER. 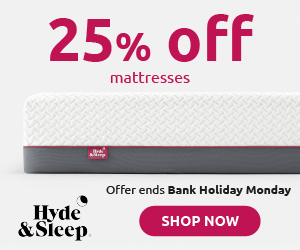 OUR CUSTOMERS WILL RECEIVE UP TO £183 WORTH OF EXTRAS WHEN THEY ORDER A HYDE & SLEEP MATTRESS. THIS INCLUDES SMART PILLOWS AND A DUVET. Offer valid until Tuesday 26th December 2017 at midnight. WE ARE DELIGHTED TO ANNOUNCE OUR NEW OFFER TO YOU! This includes pillows and a duvet. We are so delighted to offer our customers this fantastic promotion. This offer will run until Monday 11th December at midnight. We love to build relationships with our publishers! Simba Sleep - Black Friday Event! You can now grab up to 30% off their exclusive offers and get a free mattress protector with all bundles! 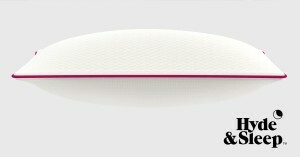 Choose from the Mattress & Accessories Bundle, the Accessories Bundle, or the Mattress & Base Bundle, and save up to £400! Please promote the below link to your audience and the discount will automatically be applied when they choose their bundle. The Entertainer - Up to 70% off duvet sets with code! The Entertainer is offering a huge UP TO 70% OFF Character duvets with code DUVET6. With a range including Finding Nemo, Zootropolis, Teenage Mutant Ninja Turtles, Secret Live of Pets and Dora – there Is something for everyone of all ages! Don’t forget to use DUVET6 to redeem the discount! Promote this code to your audience today on The Entertainer merchant page. Offer available until stocks last! See website for further T&C’s. If you have any questions about the above offer or anything else Entertainer, please let us know! The Entertainer - Half Price Blankets & Duvets! 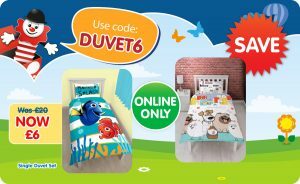 The Entertainer’s latest offer features their duvet and blanket section all reduced to £5.00 from £10.00 this week, featuring Paw Patrol, My Little Pony, Despicable Me, Disney Cars 3 and many more! Wrap the kids up warm this winter with their favorite character duvet and blankets! Promote this great offer to your customers on our merchant page today to avoid missing out on commissions! This offer will run until Monday 30th October at midnight. This offer will run until Monday 16th October at midnight. Huge Discounts Off Soft Furnishings online at TJ Hughes! Please see below our latest offers on soft furnishing! Deeplinks to landing pages are provided. Please substitute !!!id!!! with your affiliate id.